With the holiday trade freeze in effect, it hasn’t slowed the rumors that moves are coming. 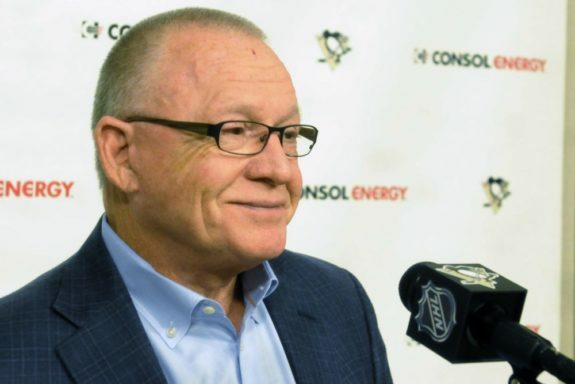 The focus of the chatter is on the Pittsburgh Penguins, New York Islanders and Ottawa Senators, but, there are a few specific teams and players to watch for as well. That could be key moving forward because Rutherford feels the team needs to add scoring depth, especially down the middle of the ice. To attain that, Jonathan Bombulie of the Pittsburgh Tribune-Review has said that when the holiday roster freeze ends, the Penguins could look to move out a defenseman to fill other needs. The Penguins traded Josh Archibald as they didn’t see him getting a lot of playing time and in the overall picture of what Rutherford believes the team needed, Archibald didn’t give the club the balanced line scoring the team had in the past couple seasons. Chris Nichols of FANRAG SPORTS NETWORK recently discussed the chatter among many hockey insiders regarding the announcement of the New York Islanders’ winning bid to construct a new arena at Belmont Park. Specifically, he details what it means for getting star center John Tavares re-signed with the Islanders. Nichols says Darren Dreger believes Tavares had the arena deal right near the top of his priority list and Nichols also noted that Elliotte Friedman cited Tavares’ need to know about a new arena and whether he believes he can win with the Islanders as key factors toward staying put. 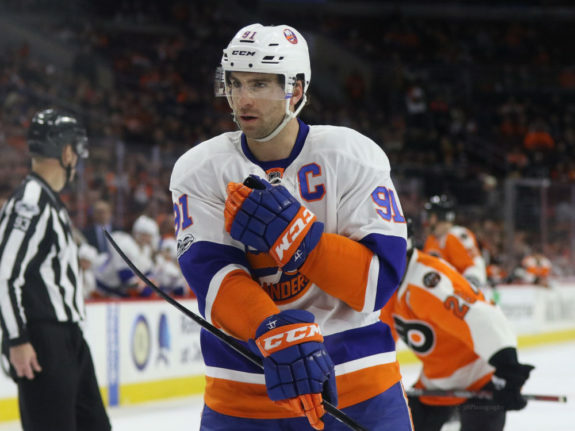 Most people believe what Dreger and Friedman do, which is that the arena news and the Isles success on the ice this season could give the Islanders a much better shot at getting Tavares on a long-term deal. No one seems to be talking much about salary because that is the least likely area of trouble between the two sides. The Islanders understand how important Tavares is to the organization and will happily pay the going rate. They believe not only is Tavares their best player but a major factor in the success of a player like Josh Bailey this season. Bailey is an unrestricted free agent at the end of the season and wants to stay with the Islanders. He’s on pace for more than 100 points this season. The two players go hand in hand. Bruce Garrioch of the OTTAWA SUN reports that most everyone was aware that Senators GM Pierre Dorion was working the phones hard leading up to the trade freeze. The last week was spent actively trying to pursue a deal that could help his team. Garrioch thinks that the focus of Dorion’s talks was centered around younger talent coming into the organization and many teams were rumored to be chatting about Mike Hoffman, Cody Ceci, Jean-Gabriel Pageau and centre Derick Brassard. The returns would have involved prospects and draft picks in most cases. There were rumors the Oilers might have been a team to watch with respect to Mike Hoffman. In his 31 Thoughts post, Elliotte Friedman suggested he thinks there are a few teams looking to move specific players. Winnipeg made it known around the league that Shawn Matthias is available and Friedman believes the Edmonton Oilers are looking to move Anton Slepyshev. 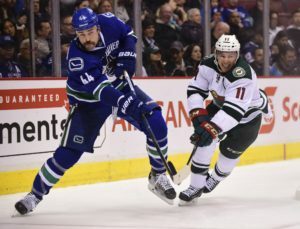 Friedman also thinks Erik Gudbranson out of Vancouver is only a matter of time.